Made with the wood of the Okoume tree and sometimes referred to as Okoume Mahogany, Okoume plywood normally has a very attractive, somewhat lustrous look that makes it suitable for some fine woodworking applications. Its color is typically pinkish-brown to pale red, and its texture is finely uniform. With a straight to barely wavy grain that sometimes has a slightly interlocked appearance, it offers high strength to weight ratio. 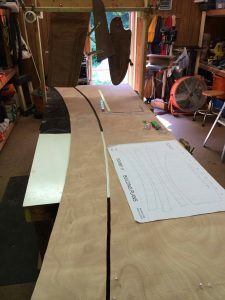 Although not known for its water resistance, Okoume plywood is an exceptional choice for building racing boats as well as for other applications in which strength and light weight are desirable. Kitchen cabinets, furniture, and certain types of packaging may be constructed using this type of plywood. It’s a great choice for use in projects where appearance plays a key role. Also known as combogala or gaboon, Okoume is found only in the Congo, Gabon, and Africa’s equatorial Guinea. The tree grows rapidly and regenerates quickly in clearings, making it a good choice when concerns about renewability arise. Although it is nicknamed “Okoume Mahogany” due to its medium mahogany hue, it is not a true mahogany species. Okoume wood is typically of high quality, often offering the same look as Okoume veneer products. Premium two-sided marine grade panels are normally 4’ x 8’, and are generally available in a number of thicknesses ranging from 2mm (1/8”) to 25mm (1”). Okoume is a very soft wood and plywood made with this resource is not normally pressure treated. Composition may vary, with cores sometimes being made with pine, poplar, or hardwood for added strength. Glues used in manufacturing this type of plywood include MR, E0, E1, E2, Melamine, and WBP. Because Okoume plywood is not rot-resistant, it must be thoroughly sealed to prevent moisture from penetrating. Okoume panels and projects made with them are normally painted of finished with epoxy and varnish to prevent potential problems caused by exposure to the moisture typical of marine and aquatic environments. Okoume plywood is available at some large retailers as well as at suppliers that specialize in Marine plywood and related products. Prices vary widely depending on thickness, core quality, source, and of course, any associated costs such as shipping. Keep in mind that you’ll probably pay more for Okoume than for other types of plywood, primarily due to the costs associated with shipping raw goods to manufacturing sites. Unlike most other types of plywood, Okoume is almost exclusively marketed for use in marine applications. 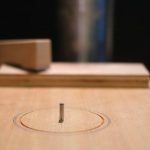 This doesn’t mean you can’t try your hand at using it in other projects; just remember that all edges and faces must be very well sealed if the wood is going to be exposed to moisture. Its durability, light weight, and attractive appearance as well as its exotic origins make it a fantastic choice for woodworking, and the fact that various thicknesses and core types are available add to its overall versatility. Whether you’re building a boat or re-facing kitchen cabinets, consider using Okoume plywood. It’s a great choice for these applications and so much more.